This Item is a Region 4 DVD. REFER TO REGION 4 LIST HERE. DLC (Downloadable Content) can occasionally be region specific, or can also be general. What region are your DVDs and Blurays?. Other (421). This is possible! FACE/OFF (JOHN TRAVOLTA, NICHOLAS CAGE). Now that he killed Castor, Sean must find a biological bomb by assuming the identity of Castor Troy by taking his face and being brought in prison. But Troy, who awakes from his coma, takes Archer's face in order to take revenge on him. If the DVD is from another region, it will be clearly advised above on the first line and in the Title Bar. I.e. Region 1 or Region 2. This DVD is REGION 1 so a multi region DVD player is required. Are We There Yet?. 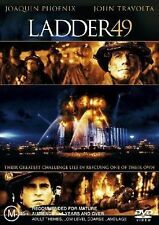 The General's Daughter (DVD, 2002). I clean every disc with a disc cleaner. 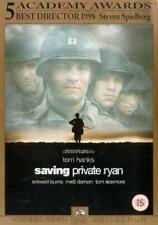 (DVD, MA15 ). #FACE/OFF : SPECIAL EDITION. Bank deposit. Bank cheque. Pick up from location available. Australia 2500. Wollongong Nsw. Account Number- 259893194. 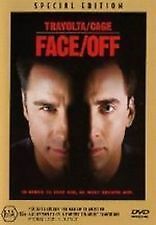 Face/Off (DVD, 2001) John Travolta, Nicholas Cage - Free Post! This item has been previously owned and is still in great condition. The disc will play uninterrupted and is in excellent condition. The case shows normal signs of wear due to use and storage. 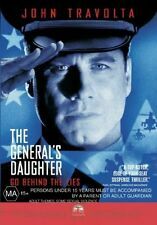 The General's Daughter : DVD - John Travolta - Free Post! All discs are in mint condition. 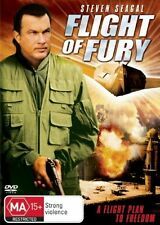 Face/Off - DVD Movie - R4 - John Travolta, Nicholas Cage - Free Post! 8/10 – great condition, light markings. 7/10 - good condition, light to moderate markings. 9/10 – near new condition, very few visible markings. Varying conditions as listed. Face/Off (DVD, 2001) Nico Cage and John Travolta. Face/Off (DVD, 2001) Nico Cage and John Travolta.. Condition is Good. Sent with Australia Post Standard Service. DVD - Movie. DVD - Music. Sheet Music / TAB Music. Music Calendars. Oscar winning superstar Nicolas Cage (Con Air) and screen icon John Travolta (Pulp Fiction) battle head to head in FACE/OFF?. Brilliant performances and mind-numbing visual effects make FACE/OFF the explosive action thriller you've got to see to believe! Phone: (02)-4261-5847. Dapto NSW 2530. 45 Princes Hwy. Pawn Stars Dapto. Pick up from location available. Bank Deposit. We are always happy to resolve any issues that you may have.